Winner, Winner Pork Belly Dinner! My Sticky Chinese Pork Belly is a new family favorite. This Sticky Chinese Pork Belly is melt in your mouth, sticky, sweet, crispy, and spicy. 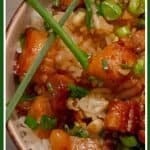 It’s absolutely fabulous with rice, ramen, or noodles or by itself for those who prefer low-carb or keto. I may have mentioned my love for homemade bacon like once or twice, right? 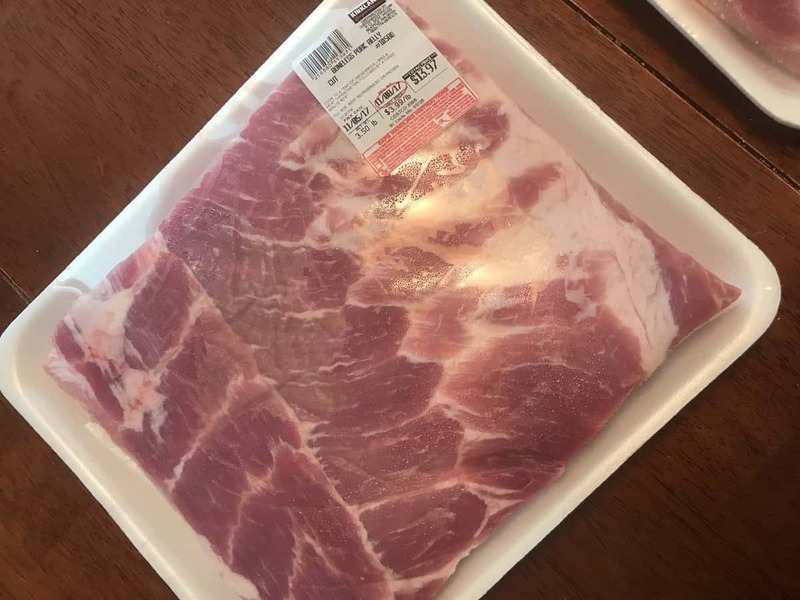 Well, recently while cruising the samples at Costco with my 4 year old, I discovered that they are now selling pork belly by the slab. Fresh, not frozen and they will cut to order a nice thick center piece if you request it. (That’s the sound of angels singing in the background.) So excited! Anyway, I came home with 7 pounds. Kind of extreme I know, but I did hear the background angels, so I couldn’t say no. My intention was 5 pounds for my next batch of Homemade Hickory Smoked Bacon, and 2 to play with. Then the dilemma began. 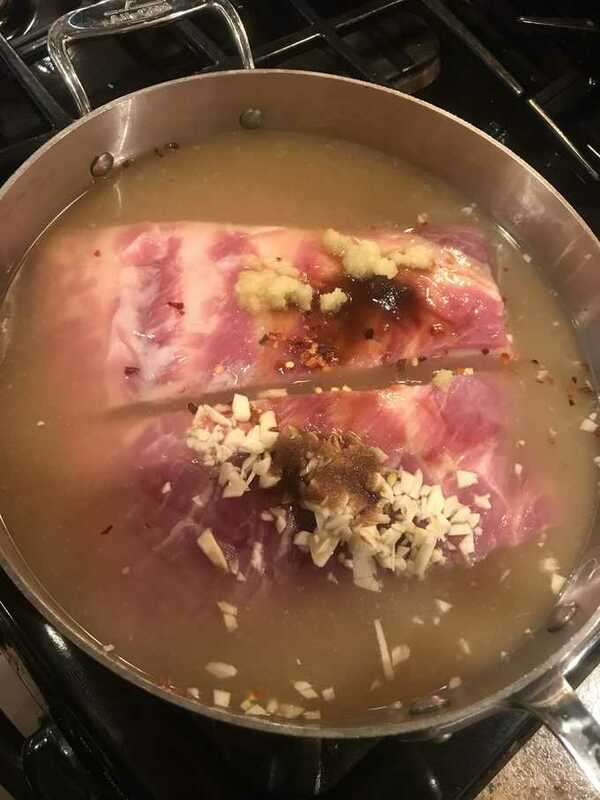 This relatively easy recipe starts by slow braising the pork in a fragrant bath of chicken stock, grated ginger, crushed red pepper flakes, garlic, rice wine vinegar, and brown sugar for 2 hours. The meat is then cubed into 1″ chunks. Cook the meat in a very hot fry pan with a little vegetable oil to crisp and caramelize the edges. Finally, add the sweet, spicy, fragrant sauce. Cook until bubbly, sticky, and slightly thickened. Serve over rice with toasted sesame seeds and green onions. I chose steamed green beans seasoned with butter, salt, and pepper as a side. Its an absolutely beautiful dish that doesn’t disappoint. I hope you enjoy it as much as my family did. 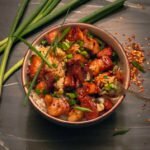 Love Asian flavors? 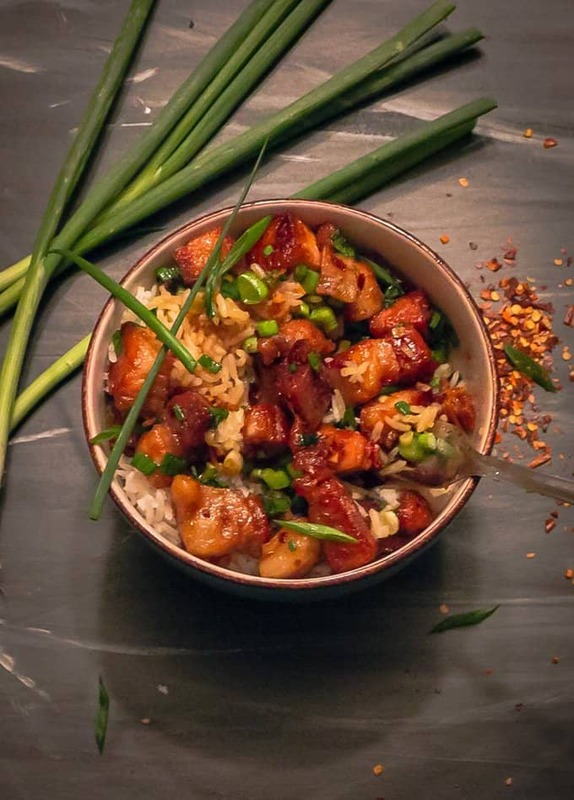 Make sure to check out my Blood Orange Chicken, Asian Chicken Lettuce Wraps, and Asian Shrimp Cakes with Mango Chutney and Honey Sriracha Sauce. Have you tried this? Leave me a comment below. I’d love to hear from you! 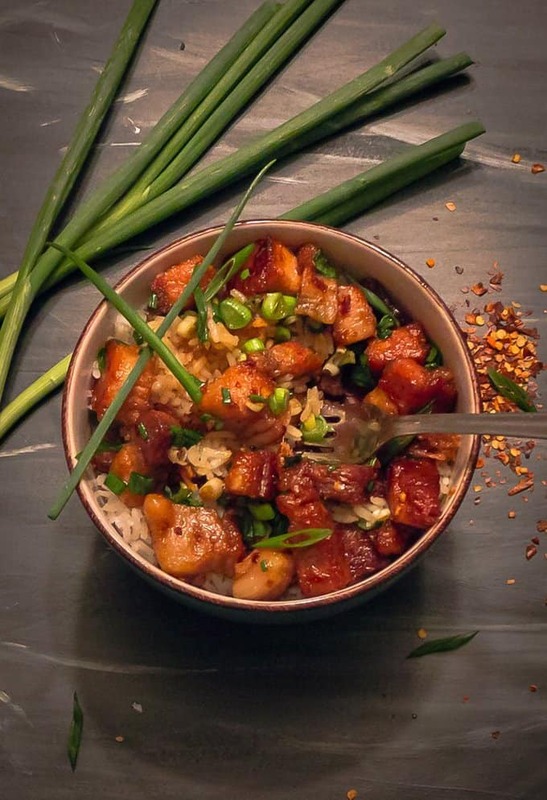 Melt in your mouth, sticky, sweet, and spicy pork belly served over rice. Divide your pork belly into 2 slabs. 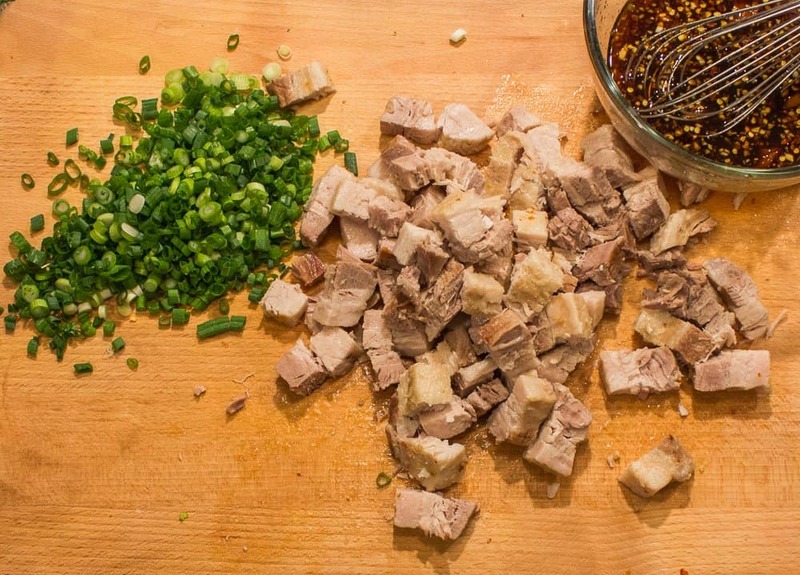 Put pork belly and the braising liquid ingredients into covered saute pan. Cover and gently simmer for 2 hours. 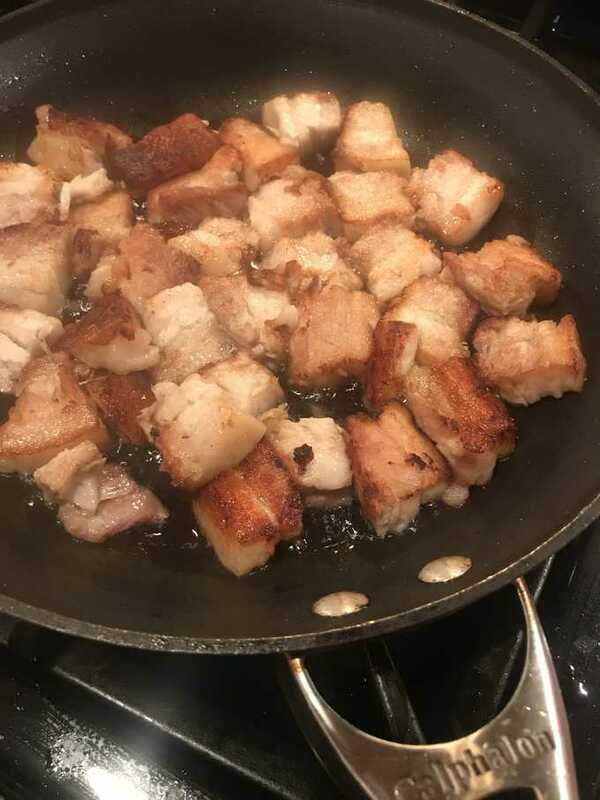 Remove braised pork belly from saute pan and discard broth. Cube pork belly into 1" chunks. Whisk sauce ingredients that include the second portion of grated ginger, pepper flakes, honey, brown sugar, soy sauce, sesame oil, grated ginger, and rice wine vinegar in small bowl until sugar is dissolved. Heat 2 tablespoons vegetable oil in a very hot fry pan. Add cubed pork belly and fry until edges are crispy and caramelized. Discard excess drippings if necessary. Lower fry pan heat to medium. Add sauce mix to fry pan and cook until thickened and sticky approximately 2 minutes. 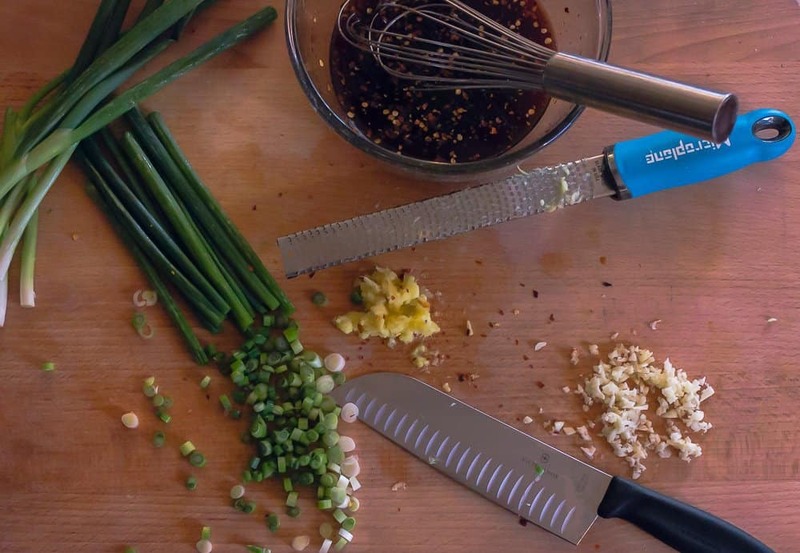 Garnish with sliced green onions and toasted sesame seeds. Previous Post: « Pumpkin Bread! Need I say more?